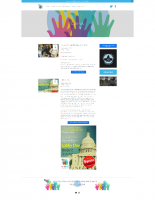 Please be sure to visit our PMAD News and our PMAD News Archive where you will find many more news stories and videos on Perinatal Mood and Anxiety Disorders. Comprehensive Actions Ensure Women Receive Proper Access to Care and Treatment Builds Upon Additional Measures to Expedite Referrals and Treatment. Part of Governor Cuomo's 2018 Women's Agenda. Please click on the image below to view an archived image of the press release. 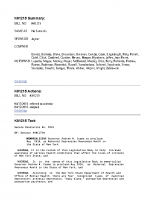 Senate S4000 – Summary: Relates to maternal depression treatment; requires the commissioner of health, in collaboration with the commissioner of mental health, to compile a list of providers who treat or provide support for maternal depression. Status: Passed on 6/20/2017. Legislation page can be found here. Assembly A8308 – Summary: Relates to maternal depression treatment; requires the commissioner of health, in collaboration with the commissioner of mental health, to compile a list of providers who treat or provide support for maternal depression. Status: Passed on 6/20/2017. 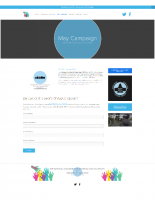 Legislation page can be found here. Despite passing the Senate, this bill was delivered to the Assembly and not brought to the floor for a vote. The Postpartum Resource Center of New York supports S6715/A9385 Maternal Depression Treatment Bill and S7881/A10066 Pediatricians to Screen for Maternal Depression Bill to further address the serious public health concern of Maternal Depression and urges their enactment. 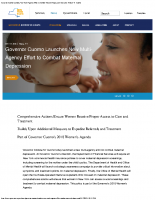 Governor Andrew M. Cuomo proclaims May 2016, as Maternal Depression Awareness Month in the State of New York. Please click here to reach the New York State Assembly page for the resolution under bill K01215 and here to reach the Senate page for the resolution under bill K1215. If the pages are no longer available, you may view them by clicking on the images below. Governor Cuomo Announces Action to Ensure Health Insurers Provide Coverage For Maternal Depression Screening. On Monday, April 26, 2016, "Governor Andrew M. Cuomo today announced that the Department of Financial Services has issued guidance to inform health insurers of their responsibility to provide health insurance coverage for maternal depression screenings. The guidance follows the United States Preventive Services Taskforce recommendations made earlier this year that group health plans and insurers offering group or individual health coverage must provide, with no copayment, coinsurance or deductible, preventative services such as depression screenings in pregnant and postpartum women." To read the full press release, please click here. If the page is no longer available, you may view it by clicking on the image below. 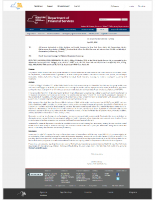 To read the NYS Department of Financial Services Insurance Circular Letter No. 1 (2016), dated April 26, 2016 with the subject "RE: Health Insurance Coverage for Maternal Depression Screening", please click here. If the page is no longer available, you may view the letter by clicking on the image below. NYS – Gov. 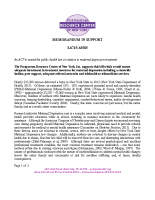 Cuomo press release insurance for maternal depression screening. 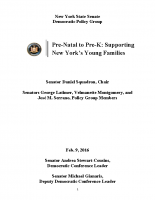 Pre-Natal to Pre-K: Supporting New York’s Families Senate Democrats Push for Stronger Paid Family Leave and Unveil Initiatives to Help Families During Critical Early Childhood Period. Proposals Draw Praise and Support from Advocate Organizations. Plan Would Save NY Taxpayers $2 Billion Annually. "(Albany, NY) The Senate Democratic Conference today unveiled a set of policy initiatives spearheaded by the Senate Democratic Policy Group to help New York families during the critical early childhood period. These initiatives include a strong paid family leave program, increased access to childcare, assistance for New York’s working parents and caregivers, and support for the growth and development of all New York children. 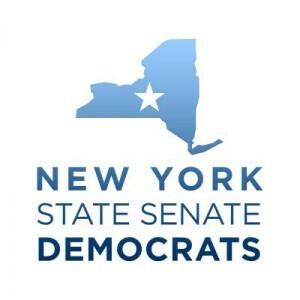 Multiple organizations that provide support and advocacy for new parents, young children and working class New Yorkers have already offered praise and support for the Senate Democratic proposals. When enacted, these initiatives would result in over $2 billion annually in savings and financial returns for New York State as well as additional economic activity." To read the full press release, you may click on the text file below or view it at its New York State Senate Democratic Conference scribd.com page, which can be found here. To read the legislation document, you may click on the pdf file below or view it at its New York State Senate Democratic Conference scribd.com page, which can be found here. The following comes from the National Coalition for Maternal Mental Health website. For more information, please click here to reach their website. If the page is no longer available, please see the image below. Every year the National Coalition leads the @MayCampaign, the first National campaign to raise awareness for maternal mental health complications. In its third year, we rally survivors, advocates, and organizations to raise awareness of this number one complication of childbirth. From Monday, May 2nd to Friday, May 6 2016, the NCMMH will share messages and images through social media and encourage moms, friends, family and care providers to ask her the question! Stay tuned for more details. 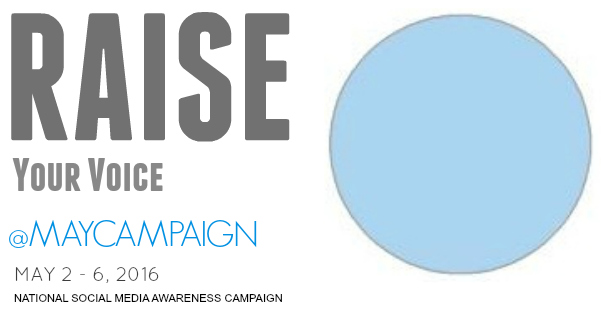 You can support the campaign by sharing daily messages on your Facebook and Twitter and by displaying the new National symbol for maternal mental health awareness, the Blue Dot, on your website or home page. This May 16th and 17th, 2016 the National Coalition for Maternal Mental Health will be organizing the largest gathering of advocates, survivors, and organizations in Washington D.C. to advocate for change for all mothers and we want YOU there! Come be part of this historic gathering to ensure our legislators and policy makers know that mothers and babies matter especially when it comes to complications from a maternal mental health illness during pregnancy and postpartum. Please click here to reach the NCMMH website page for this event. The following comes from the National Coalition for Maternal Mental Health website. For more information, please click here to reach their website. NCMMH is thrilled to launch the first ever National Day of Action! Our countries leaders need to know Moms around the nation support federal bill "Bringing Postpartum Depression Out of the Shadows Act of 2015” (HR 3235 and S 2311). Congresswoman Katherine Clark's press release page for this bill can be found here or you may view it below. You, your family and friends, and your organization can all make the difference, by using your social media to tap into your amazing “boots on the ground” followers and grassroots advocates, encouraging them to participate in this National Day of Action! To review the bill at it's official congressional page, please click here. You may also view the bill or download it by clicking on the file below. Learn how you can take part in this amazing event! Katherine Clark’s Press Release page. On July 28th, Congresswoman Katherine Clark (D-Mass) and Congressman Ryan Costello (R-PA) introduced the Bringing Postpartum Depression Out of the Shadows Act, legislation to increase and improve screening and treatment for women with postpartum depression. The bill builds upon existing state and local efforts by providing federal grants to assist states in developing programs to better screen and treat postpartum depression. The Bringing Postpartum Depression Out of the Shadows Act has received the support of the American Congress of Obstetricians and Gynecologists, the American Academy of Pediatrics, and the American Psychological Association. 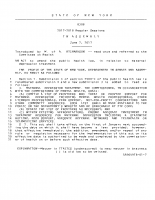 New York State Maternal Depression law went into effect February 1, 2015. Here is latest information provided by the New York State Department of Health. Governor Andrew M. Cuomo today signed a bill designed to provide support for women facing maternal depression during pregnancy and following childbirth. The new law will provide educational services, as well as promote screening and treatment for maternal depression disorders. Maternal Depression legislation from NYS Senator Liz Krueger and also the Assembly Co-Sponsor of Assembly Member Richard Gottfried has been reintroduced. S.7234 / A.9610 defines Maternal Depression, provides information and guidelines on maternal depression screening; provides information on follow-up support and referrals; and provides public education to promote awareness of and de-stigmatize maternal depression. The Postpartum Resource Center of New York, Inc. strongly supports this proposed legislation for the 50,000 New York families who will experience the debilitating illness of Maternal Depression each year. 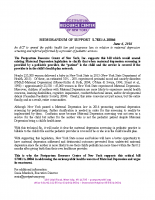 Postpartum Resource Center of New York's Memo of Support for Maternal Depression Legislation. Please click on the link below to see the memo (pdf). 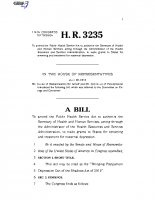 News related to Maternal Depression bills S.7234 / A.9610. 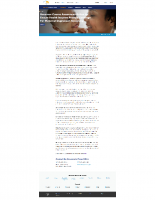 ♦ Bill makes it easier for new mothers to treat 'baby blues'. 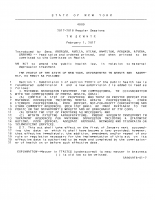 Legislative Gazette (Please note that the link is to a saved pdf of the article. The original link to the article at the publisher's website no longer works as they have changed their website and it does not include legacy articles (as of 2/10/2016). To reach the publisher's website, please click here. Maternal Depression legislation from NYS Senator Liz Krueger and also the Assembly Co-Sponsor of Assembly Member Richard Gottfried was voted on and the bill approved in the New York State Assembly and Senate. A.7667-B /S.3137C to define Maternal Depression, requires the provision for maternal depression education and the provision of a screening and referral plan for the state. If you are having trouble viewing the above video, please watch it on YouTube. To learn more go to nysenate.gov/open and enter bill number S3137. The Postpartum Resource Center of New York, Inc. strongly supports and urges Governor Cuomo to sign this legislation into law for the 50,000 New York families who will experience the debilitating illness of Maternal Depression each year. New York residents, please sign our on-line petition to Governor Cuomo or write and mail in your own printed letter to the Governor! The Postpartum Resource Center of New York submitted our Change.org online petition with over 6,000 signatures to Governor Cuomo. In December 2013 Governor Cuomo vetoed the Maternal Depression legislation. Perinatal Mood and Anxiety Disorders - Finding the help you need!